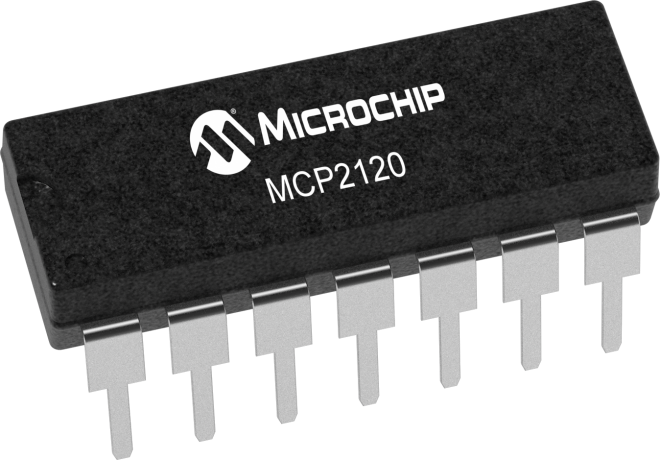 MCP2120 is a low-cost, high-performance, fully-static infrared encoder/decoder. This device sits between a UART and an infrared (IR) optical transceiver The data received from a standard UART is encoded (modulated), and output as electrical pulses to the IR Transceiver. The IR Transceiver also receives data which it outputs as electrical pulses that the MCP2120 decodes (demodulates) then transmits the data via the MCP2120 UART. This modulation and demodualtion method is performed in accordance with the IrDA standard. AN923 - Using the MCP2120 Developer's Board of "IR Sniffing"